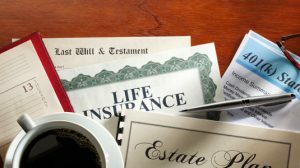 Blog A Dispute Over an Executor’s Commission: What is a Permissible Commission Rate? I just read a new case and wanted to share it with you. The issue involved executor’s commission and whether the commission under NJ law is calculated as a percentage of the gross fair market value, or the net value, after subtracting the outstanding mortgages payable at the time the administrator sold the real estate. Moreover, the Director contended that it has construed the “ordinary expenses of administration” deduction pursuant to NJ laws consistently for nearly thirty years. The Director argued that since this long-standing administrative construction of NJ laws has remained undisturbed by the Legislature, it must be accorded substantial weight as evidence of conformity with the legislative intent of the statue. The property for which the debt is owing or for which it is secured is subject to the death tax. A foreign debt exceeds the value of New Jersey property securing it or for which it was contracted. Administration expenses; fee of executors and attorneys – The ordinary expenses of administration, including the ordinary fees allowed executors and administrators and the ordinary fees of their attorneys. Payment of state, county and local taxes upon the property for the current fiscal year.